Farm Honey's Gir Cow Ghee is obtained through a special species of cows known as "Gir Cows". These cows are found in the forest regions and also in several districts of Gujarat. These cows produce more milk than any other species. 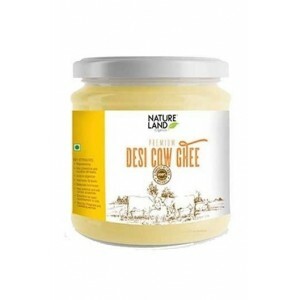 Gir cow ghee, also known as desi cow ghee possesses a number of benefits that enhances your health. 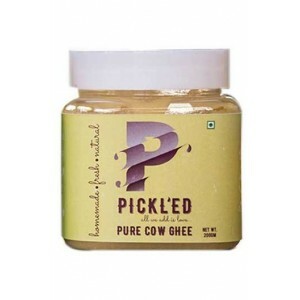 Product Description: Farm Honey's Gir Cow Ghee is obtained through a special species of cows known as "Gir Cows". These cows are found in the forest regions and also in several districts of Gujarat. These cows produce more milk than any other species. 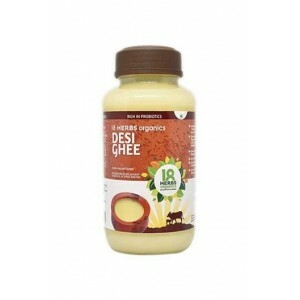 Gir cow ghee, also known as desi cow ghee possesses a number of benefits that enhances your health. Benefits of Organic Gir Cow Ghee: It contains healthy fat-soluble vitamins that facilitate the absorption of nutrients in foods that are vital for health. This ghee contains conjugated linolenic acid which is helpful in losing weight, especially belly fat, and has been known to slow the progress of cancer and heart disease. The milk of Desi Cow or Gir Cow Milk contain A2 proteins that are best for your body. This traditional method of preparing bilona ghee as per ayurveda Gir desi Ghee provide lubrication in body which help relieving from Joint Pain. 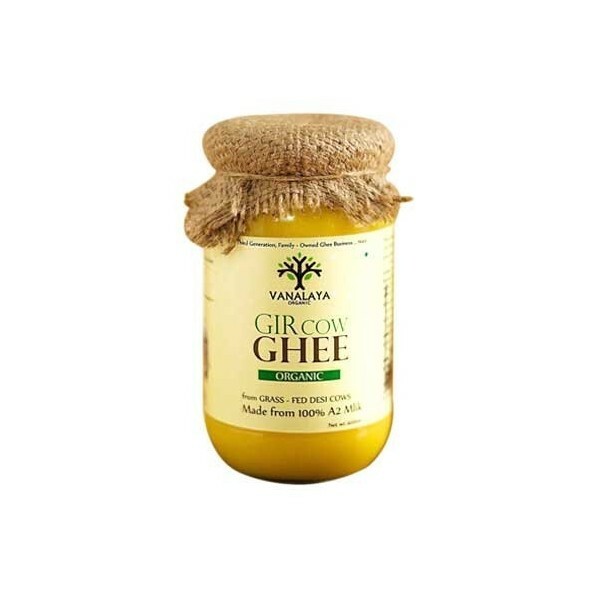 Gir cow Ghee also helps in increasing memory, balances the mind, thus enhances brain function. Enhances immunity of both children and aged individuals Usage of Organic Gir Cow Ghee. Direction for use:Cook your daily meals, make Paranthas and spread it on chapattis. 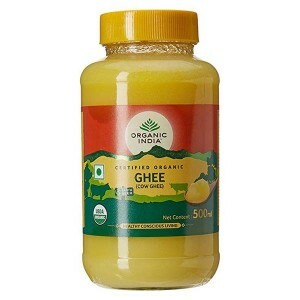 Our 100% pure and natural ghee is healthy and guilt free. Storage and Handling Instructions:Kindly Store it in a Cool place. 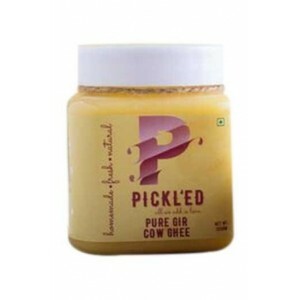 Buy Best Pure Organic Cow Ghee Online India. this is up to mark quality product, i am very much satisfied with the product..